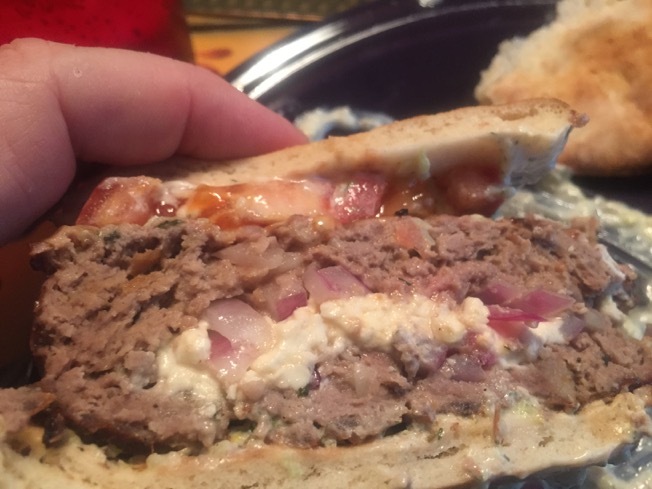 Earlier in the year, I reviewed the Stuff A Burger Kit and showed a couple of fun stuffed burgers. Here is the recipe for one of them. There is a ton of ingredient here, so it takes some time. Mixing up the meats and spices. 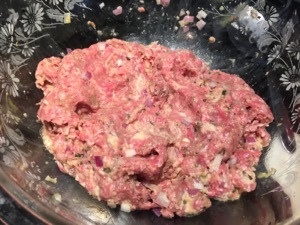 I used a combination of ground lamb and beef. Using the kit makes it easy to create the pocket for goodies. 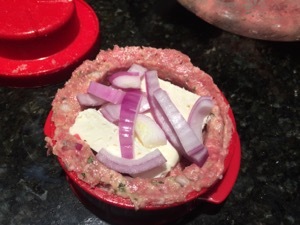 Add some feta and red onions. Top it with more meat. 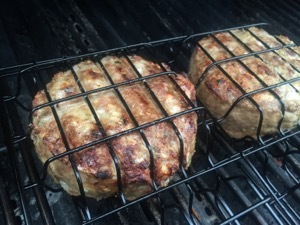 Cooking the burgers in a cage helps hold it all together during cooking. 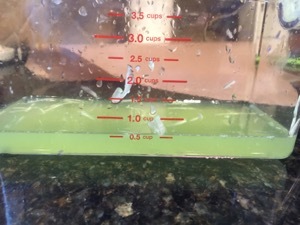 You really need to pull as much water as you can out of the cucumber or else the sauce will be runny. I was able to get ½ cup of liquid out. 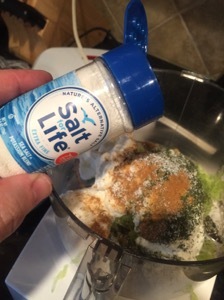 Add some salt, or in this case a salt substitute I had previously reviewed. As the burgers are so thick, I made sure the buns were not. Preheat the oven to 450 degrees F. Place a cooling rack over 2 baking sheets for roasting the meatballs and toasting the pita. Soak the bread in the milk. 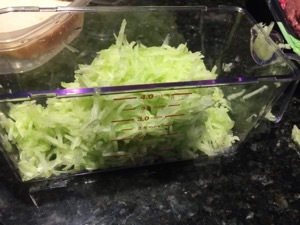 Peel the cucumber and grate into a strainer. Salt it and let it drain for 20 minutes. Pour the EVOO into a bowl, then add the meat and sprinkle with salt and pepper. 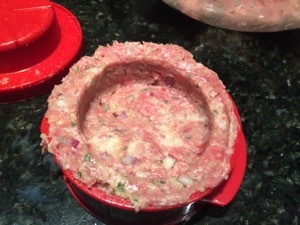 Squeeze out the bread and crumble between your fingers as you add it to the meat. Add the mint, onions, oregano, cinnamon, 2 of the garlic cloves, egg and 1/2 of the lemon juice, and mix to combine. Using a small ice cream scoop, form the meat mixture into about 24 balls and place on the baking sheet. Roast to golden brown, 15 to 18 minutes. 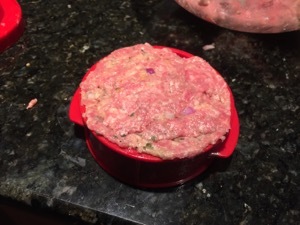 Remove the meatballs from the oven and place the broiler on high. Char the pita under the broiler, 30 seconds to 1 minute on each side. 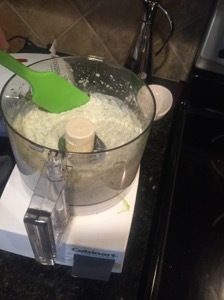 Press the cucumber in the strainer to get out the excess water and add to a food processor. 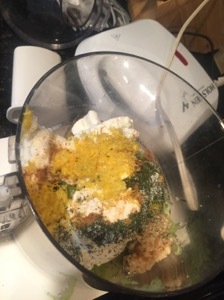 Then add the yogurt, dill, remaining 1 clove garlic, zest and remaining juice of the lemon. Season the sauce with cumin and salt and process until smooth. 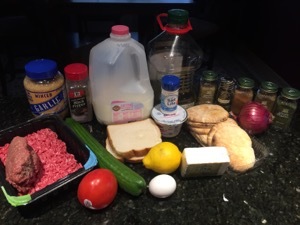 Serve the meatballs with the sauce and pitas. Looks delicious! 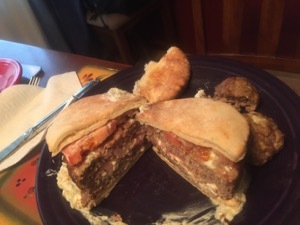 We love Greek flavors! Hi, while researching paper bakeware I came across a post by you on that subject. Way to go! I am craving this right now.